I've been working really hard to curb my spending at Lush, but Halloween (and Christmas) is just like crack to me. I'm an addict and I need help. And by help I mean I need more bath bombs. 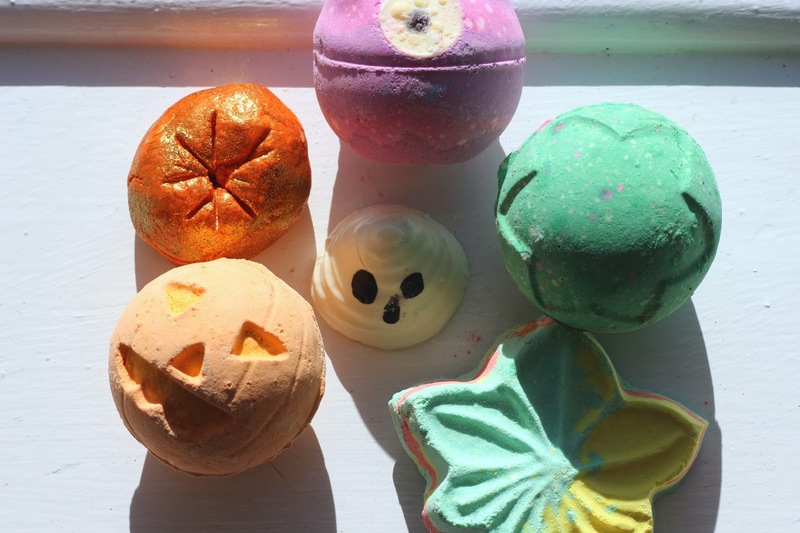 I was so bloody excited to see that Lush had expanded their limited edition Halloween range, and that there were some new beauties for me to try out. I got everything that interested me from the range: I tend to find the soaps a bit drying so they aren't for me, I have about 3 bottles of the Lord of Misrule shower cream from last year and although it's cute, I'm not interested in the Goth Fairy shimmer bar. 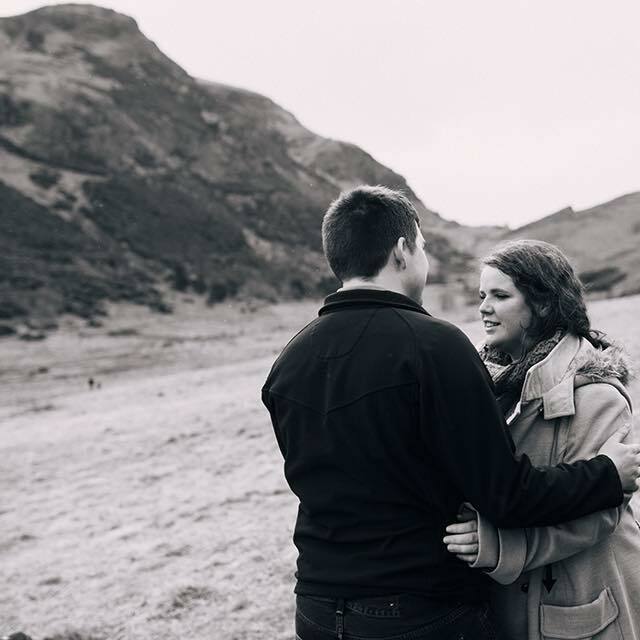 Let's talk about what I did get! This little baby is the love of my bloody life. Every year I have to stock up so I have enough to tide me over for the rest of the year, so I'm over the moon to see that they'll be on sale all the way to Christmas this season! A beautiful blend of patchouli, black pepper and vanilla, this is a spicy little number that I love. It's got a beautiful wine-red interior, and popping candy, and I am addicted. Frankly I'm not a fan of patchouli whatsoever so I wasn't expecting to like this, but it's stunning and I look forward to this coming out every year. This is such a beautiful bath bomb, and makes me even more excited about Autumn if that's remotely possible. It has an unusual scent, kind of like freshly cut grass, due to the inclusion of sandalwood, neroli, bergamot and maple sap. 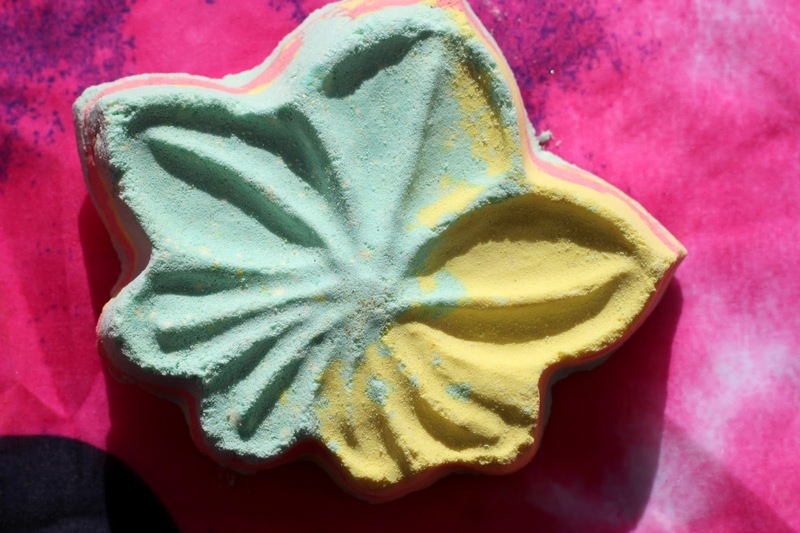 It's slightly more earthy than I usually enjoy - I'm a big fan of citrusy scents - but I'm really in love with the mix of colours used to make up this beautiful bath bomb. I'm looking forward to seeing what it does in the bath. This is one of the cutest products I've ever seen. I love when Lush do little character products, although it makes it that bit harder to watch them dissolve in your bath. However I'm not sure I'll have as much trouble with this, cause I can't stand the scent. Ginger is one of the worst things to happen to my nostrils, and sadly this mixed with sandalwood is just too earthy and 'natural' for me. I love a bath melt though, they are so good at softening the skin as they're packed full of cocoa butter, so this will probably work well on my dry skin if I pair it with a better smelling bath product. I actually SQUEALED when I first saw this. 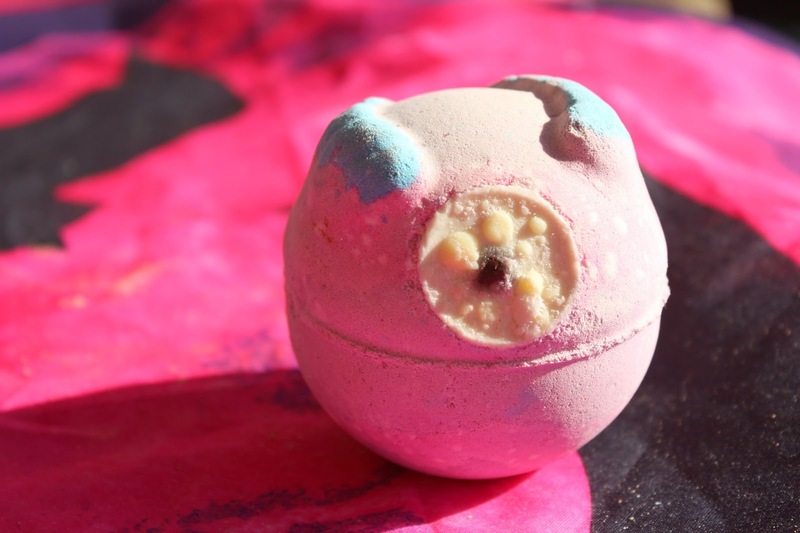 Not only is it adorable, it is made with my favourite Lush scent ever (well, joint with Lord of Misrule) - the Calacas shower gel/jelly fragrance. It's a stunning sharp and zesty mix of lime and neroli - basically it smells like green gummy sweeties. 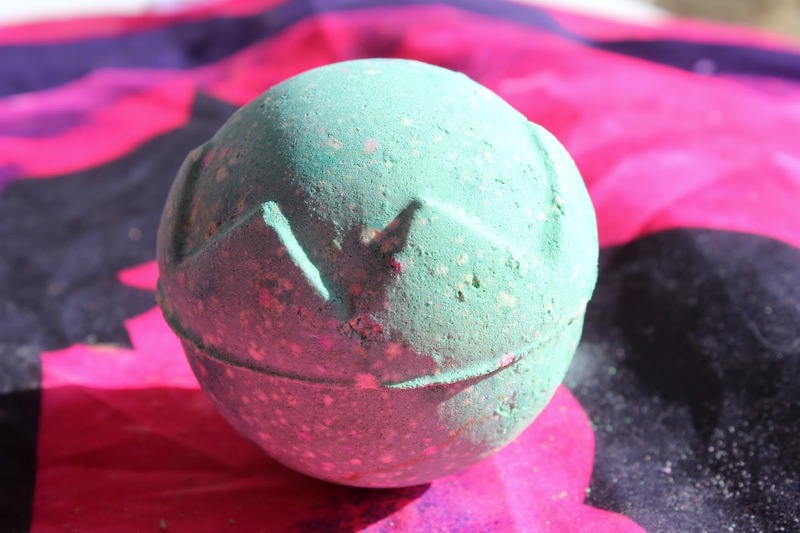 There's another bath bomb with this scent (The Enchanter) but I'm really looking forward to seeing the beautiful pinks and purples of this in the water. 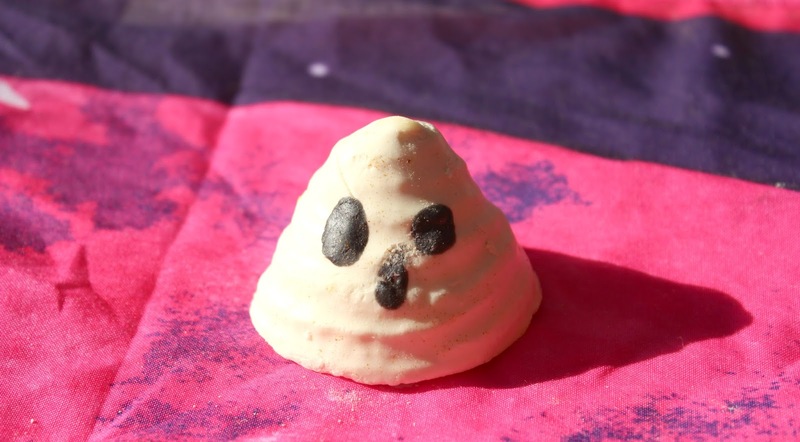 Added to that, the monster's eye is made of cocoa butter - another added boost of moisture for dry weather-beaten skin. 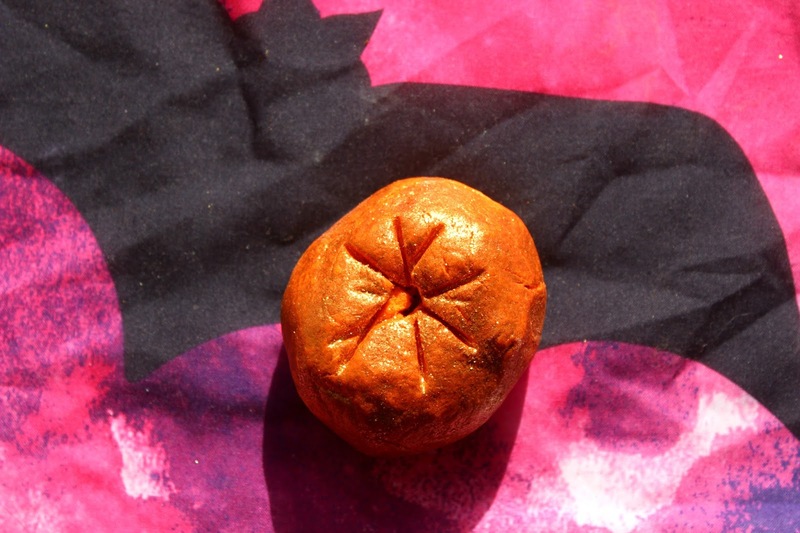 To me this smells quite similar to Monsters' Ball - it's sweet and zesty but there's a hint of cinnamon and, obviously, pumpkin instead of lime. It's a gorgeous smell, and really strong - even though it was in a box with all the other products it was by far the clearest, strongest scent. I'm a bit wary of any yellow or orange coloured bombs as they don't usually tend to be the most visually appealing, but the scent alone is worth the price. I need more of these. This was out last year when I worked at Lush, and for some reason I avoided it like the plague. When I eventually was asked to demo it, I felt like an idiot. What was there to dislike?! This is so cute, a glittery golden pumpkin of joy with a scent that is right up my alley. I think I expected this to be very spicy and herbal, but it's actually very fruity and fresh, containing grapefruit and lime oils. I'm honestly looking forward to a nice cold rainy evening where I can chuck half of this into the bath and relax in mounds of beautifully scented bubbles. Firstly, excuse the terrible lighting in these pictures! 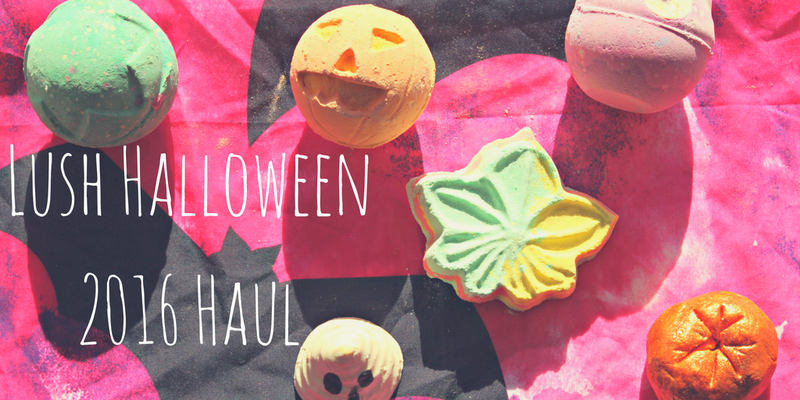 But that's my little Lush Halloween haul (although I can't promise I won't stock up on a couple of these...) and I'm so happy with the selection this year. I've also maybe perhaps accidentally ordered some Christmas products that I'll be sharing with you soon. Have you guys got your hands on any of the Halloween range yet? Are there any you'd like to try out soon? These are all so cute! You can never have too many bath bombs. 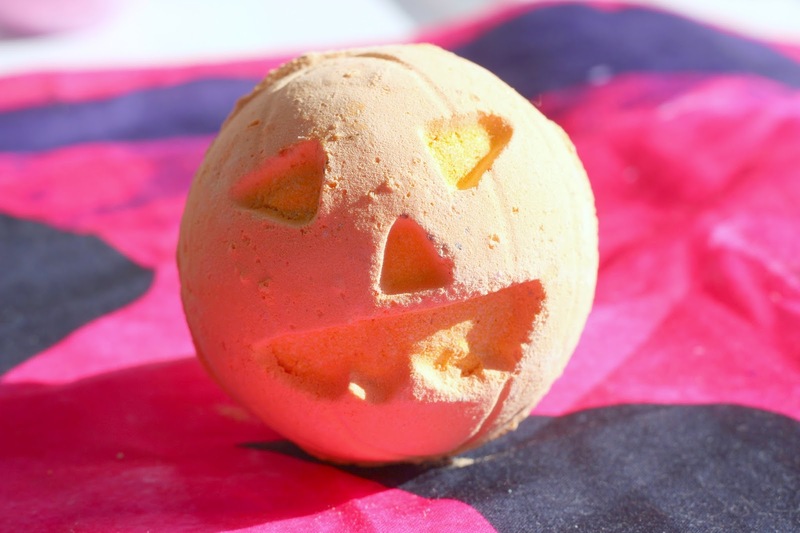 I went into Lush and they hardy had anything left this weekend, I think the Halloween range has been a really big hit!